Margaret Motter was a worker at Pine Mountain Settlement School in the 1920s and 30s and again in the 1940s. Serving as a Principal & Teacher 1928 – 1938 and as the Publicity Representative and Head of English Department from 1946 – 1949. She was a prolific writer and a clever and persuasive speaker. Even more important to the School was her dedication to fund-raising for the school. Many times she was asked to represent the School and to travel to distant cities to speak to special audiences that might find the programs at Pine Mountain worthy of support. Many times she managed to bring weaving into her talks. 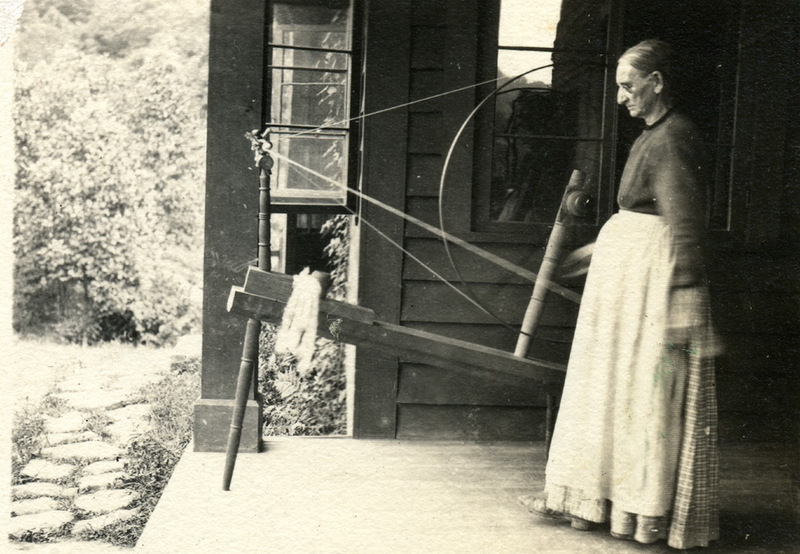 Weaving had long been one of Miss Motter’s favorite crafts and she found many ways to integrate comments on the weaving program at Pine Mountain into her public speaking tour. One group that shared her interest was the Colonial Coverlet Guild* in Chicago, Illinois, where she spoke on November 10, 1948 . it is clear the Miss Motter enjoyed this talk , as did her audience. To accompany the talk to some 80 members of the Guild, she brought along many of the coverlets and weaving samples from the school. She described the origin of the patterns, dyes, and some of the stories that came from the community related to weaving. She described how for many years weaving was a part of the curriculum of the School and many of the community children were taught to weave. She emphasized how the art stayed with a number of the graduates and in some homes in the Pine Mountain valley which established their own looms and weaving as a cottage industry to provide additional income for the family. Pine Mountains efforts to encourage weaving were shared by Fireside Industries which broadly supported craft in the Appalachian mountains. 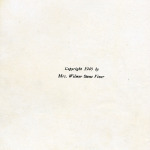 When Margaret Motter addressed the Colonial Coverlet Guild* she wrote out her talk in her unique abbreviated form and years later left Pine Mountain a copy of this talk and others, as well. Her talk is transcribed below. Many of the abbreviations have been expanded in this version and individuals are identified, where known. The talk is a window to weaving activity at the School and the role Miss Motter and others had in encouraging the continuation of mountain traditional craft by integrating the craft into the Pine Mountain educational programs. 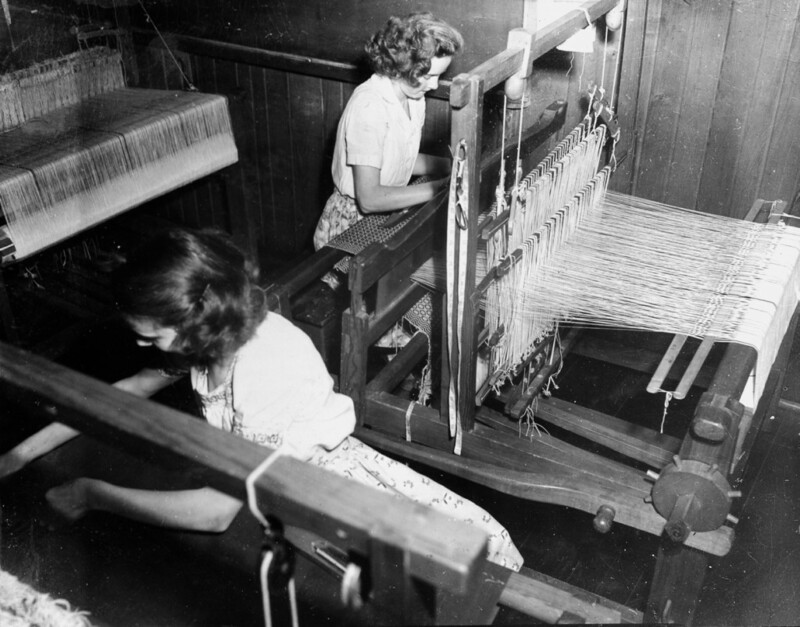 Further, the focus on weaving was melded to the social out-reach of the School and was used to engage the broader community and to stimulate the potential for economic independence for many women in the community. Many of you are familiar I am sure with the institution and the dramatic beginnings of Pine Mountain Settlement School, but any sort of message about our school is incomplete without mentioning the name of William Creech, affectionately known as “Uncle William.” Here was a man with a 3rd grade education but with great vision who dreamed for 30 years of a school which would “holp” his people. “I don’t look for wealth for them …. So through the years Pine Mountain has been serving an isolated rural community as an extension, hou.-sec [? ], vocational high school and as a center of culture, and social and economic welfare. Uncle William believed it was “better for folkes children to learn how to work with their hands…” In following this advice of Uncle William Pine Mountain has had from the beginning what we call a work program. Pupils pay $10.00 – $15.00 month if they can afford it and work 2 1/2 hrs. per day and longer on Saturday. This work program serves dual purpose. Children are made to feel the value of the education that they are earning thru work. [It] keeps [their] self respect, values and dignity of work itself and besides, through the work program the school is kept going. The children learn over a period of years and do all kinds of work connected with homemaking, farming and some trades or vocations. All work is done under supervision and changed every 9 weeks. Children have on whole a fine attitude …. Now, a very popular part of our work program as well as an elective study during school hours is our weaving. I want to give you a few details about this department since you have been good enough to share in making this department function. Our weaving room has recently been enlarged and we have space for more looms and better looms. We have by no means enough to meet the demand. We have 9 looms and one small one owned by the teacher. 6 of these were made at Berea, one at Pine Mountain after the Berea Style — 5 of the looms are 40″ and 4 are 22″-24″. Since 6 of the looms were at Pine Mountain before 1924 I guess it is not an understatement [page 3] to say they have not the latest improvements! Our teacher informed me that a Swedish weaver told her we are doing very well indeed with the equipment we have. So you can see as time goes on we shall need to replace these older looms with better ones and to purchase a pair of badly -needed scales [?] for the weaving room. I have brought you some samples of weaving done by our girls. We use rags from feed-sacks which are dyed at the school and woven into rugs. Old rayon stock and any kind of woven underwear can be transformed in the weaving room into lovely bags. We have a neighbor who does some spinning for us and other yarns we buy. I mentioned that our weaving is very popular. Some girls who learned to weave have been able to get a loom at home and have continued in their work. Two of the senior girls have been especially interested “in weaving and confided in the teacher that they hope they’ll get a loom as a graduation gift from their home folks. 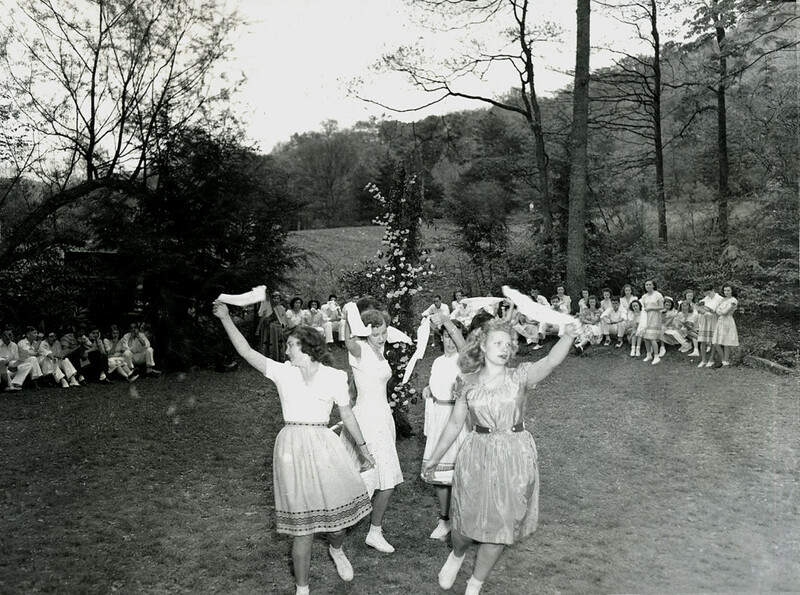 The girls love to weave a skirt to wear on May Day and have a chance to participate in the colorful “Weaver’s Dance”. Della Hayes weaving at Pine Mountain. 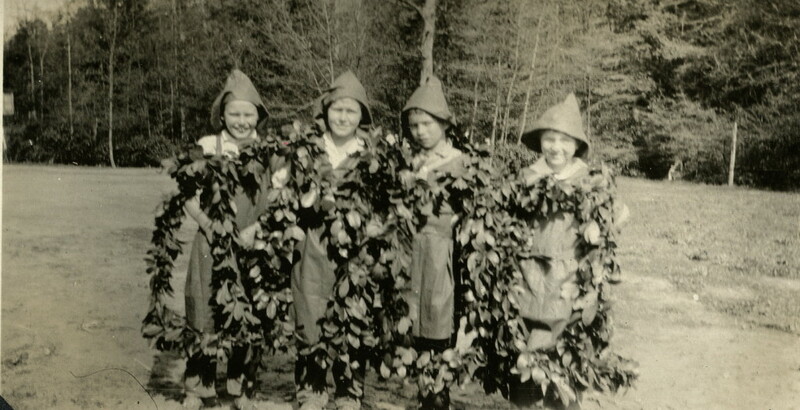 Probably in Old Log, c. 1940s. That coverlet was definitely a home product, brown from walnut hulls and dusty rose from madder. Just as lovely today as when I bought it and I love to think that little Della [Hayes] — now a successful nurse — had her start at Pine Mountain because her sister had learned to weave at our school and had a loom at home. [page 5] I am sure you are familiar with Dr. Allen Eaton’s book, Handmade in the Southern Mountains. [this should read, Handicraft of the Southern Highlands], One of the colored illustrations shows a striped blanket that we call Pine Mountain Blanket #16. I have one of these made by a mountain woman who was taught to weave by our teacher — wool from her own sheep and vegetable dye used. This is the type of blanket we always use for our prophets in the Nativity Play. 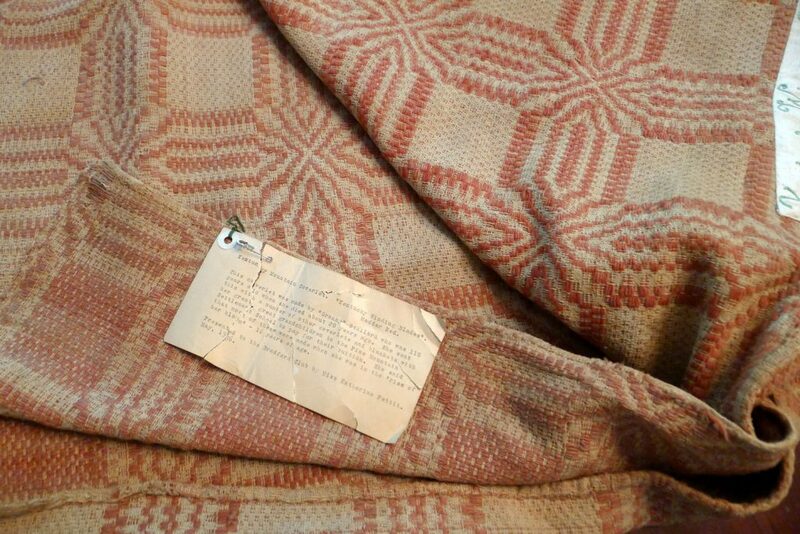 [This same Pine Mountain Blanket #16 was used as a cover for the plaque which was un-veiled at the Centennial celebration in August 2013.] You can see that the weaving even goes into something special like that. *Swygert, Mrs. Luther M. Heirlooms from Old Looms A Catalogue of Coverlets Owned By the Colonial Coverlet Guild of America and Its Members – R.R. Donnelley and Sons : 1940 (1955). 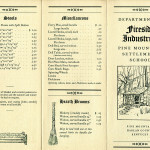 The idea of weaving at home was not unique to families in the Pine Mountain community but with Pine Mountain’s encouragement, it followed the model put forward by the “Fireside Industries” which flourished at centers such as Berea College, long a mentor for the School. Pine Mountain’s interest was also shared by many other rural settlement schools in the region, particularly in the early settlements in western North Carolina. 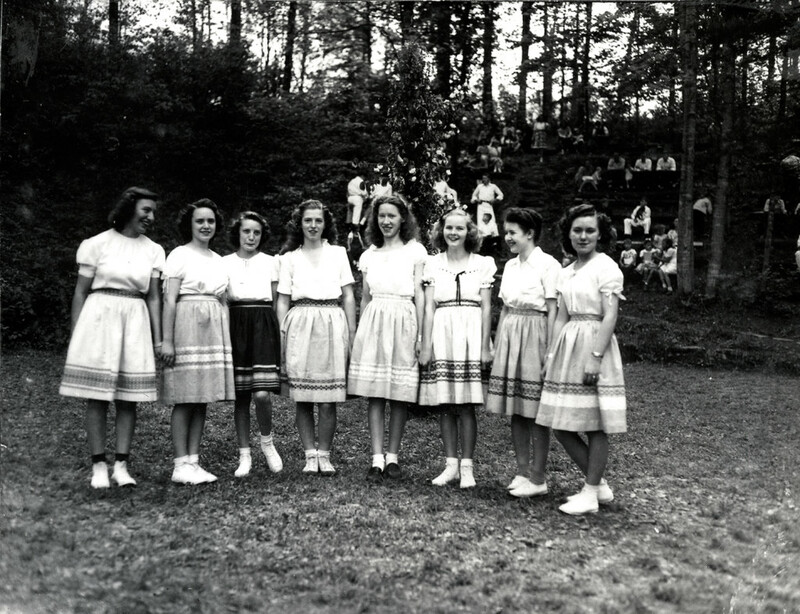 What was unique at Pine Mountain was the measure of enthusiasm in the community for such work and the persistence of weaving as part of the education program at the school. Weaving has been an activity that has found a place at the School for the full 100 years of its history. 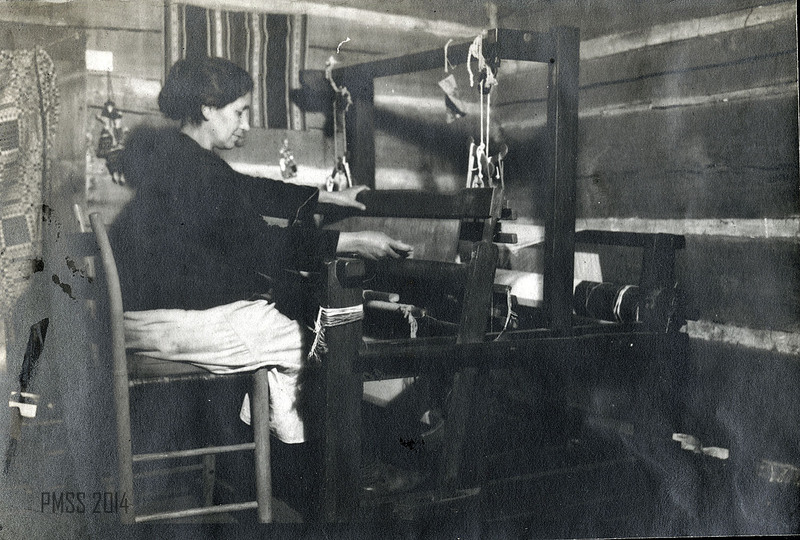 Through the enthusiasm of Katherine Pettit and others, Pine Mountain’s interest in the long family traditions led to the introduction of weaving and dying in the first decade of the school. Katherine Pettit’s Dye Book is a classic in the genre. Under Pettit and others, weaving and the use of native plants for dyes later found a place in the curriculum of the school as a vocational tract that focused on spinning and weaving. When a more normalized curriculum was mandated by public instructions guidelines, weaving still remained as an elective and then as an after-school program at the School. Unlike many regions of the Southern Appalachians in the 1940’s, the Pine Mountain valley had not fully abandoned weaving in some households. 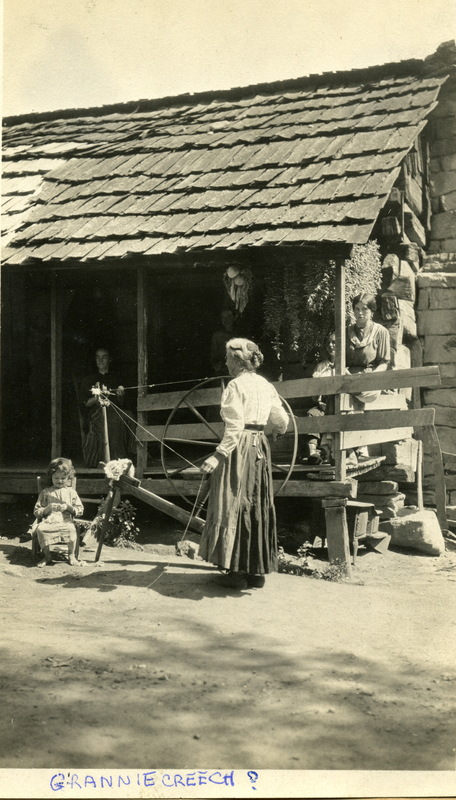 In many homes in the mountains, and in the Pine Mountain region particularly, many families retained their old looms and many of the unique patterns persisted through many generations of family weavers. Often scratched out on long strips of cloth, these patterns were family treasures. What Pine Mountain brought to the “Fireside Industries” or “cottage industry” model was a renewal or revival of the long-standing culture of eager mountain weavers. Margaret Motter moved this enthusiasm along by carrying examples of weaving with her on most every talk she gave outside the School. Through Katherine Pettit’s early enthusiasm for collecting mountain “kivers” the attention to the beauty and skill of mountain weaving moved among the staff of the School like an aesthetic mantra. Workers discovered in weaving a sophisticated and beautiful local craftsmanship that utilized skill, intelligence, and tenacity — qualities that the community weavers had in abundance. The education that occurred between the workers and the community was mutual — and it continues to be mutual today, even as the “community” of Pine Mountain has expanded to include a broad public. 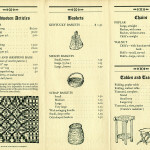 A short piece written by Freshman student Mattie Mae Adams in the February 1949 PINE CONE, the student newsletter, describes a weaving experience at the School. 1949 was the last year the boarding school was in operation. On my entrance to Pine Mountain I had a choice between science and weaving. I took weaving. At first I was afraid to weave. I was afraid I would make a mistake. It seemed hard for me to remember all of the names of the parts of the loom, and it was still harder to wind a bobbin. But it didn’t take me long as I have Miss Christensen for a teacher. She started me off on a rug that she had already started herself. Afterward, I thought I wanted to make one for myself. Now we have started on our May Day skirts, which are very difficult, because I get my threads crossed and have to take them out. Then I have to re-wind a bobbin. The next thing I know I’m using the wrong treadles or mending a broken heddle. Broken threads are another difficulty. I have just mended a broken thread when I discover a mistake which has to be taken out. Then I usually take out two to that four. Now all of these things don’t happen every day; but when one happens it seems as if they all happen at once. Even in spite of these hard tasks, I am glad I made the choice of weaving. 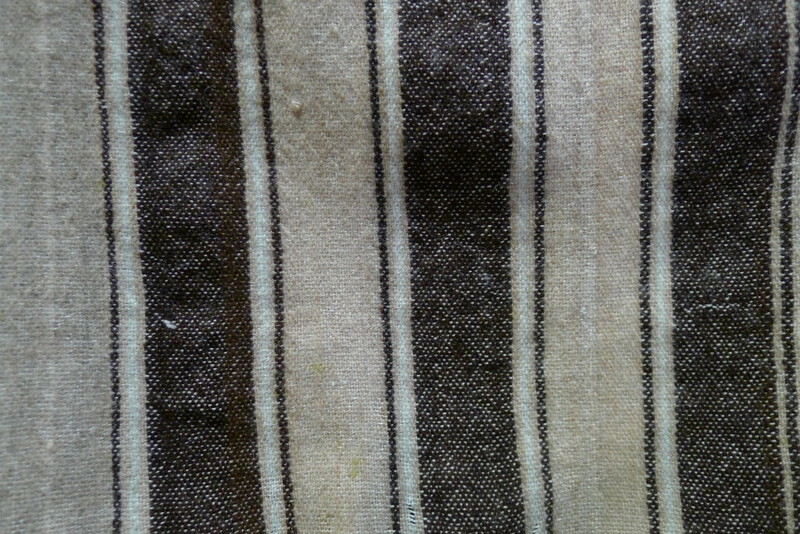 Ccropped image of weaving held in the Katherine Pettit Collection in the Bodley-Bullock House, Bodley-Bullock House. Sorority House for Transylvania College. 200 Market St, Lexington, KY 40507. 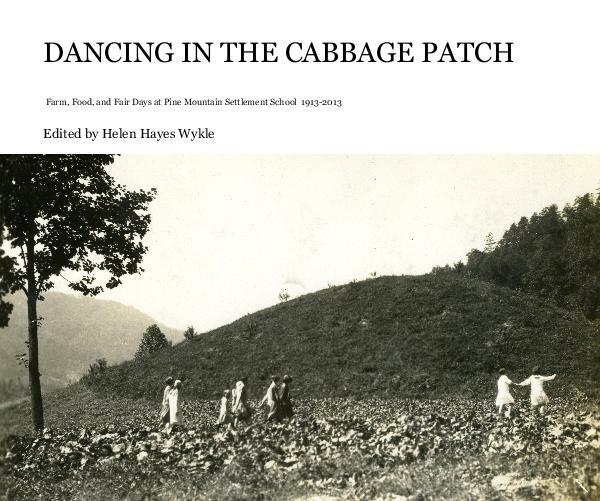 This entry was posted in ART & CRAFT, DANCING IN THE CABBAGE PATCH and tagged Berea College, cottage industry, coverlets, dyes, education, Fireside Industrues, Fireside Industry, looms, Margaret Motter, weaving, weaving patterns on 2014-08-01 by pmss_editor. One might say that Pine Mountain was conceived among coverlets. Weaving at Pine Mountain Settlement School certainly was encouraged by the re-discovery of the craft of coverlet weaving and the enthusiastic collecting of mountain weaving near the turn of the last century. 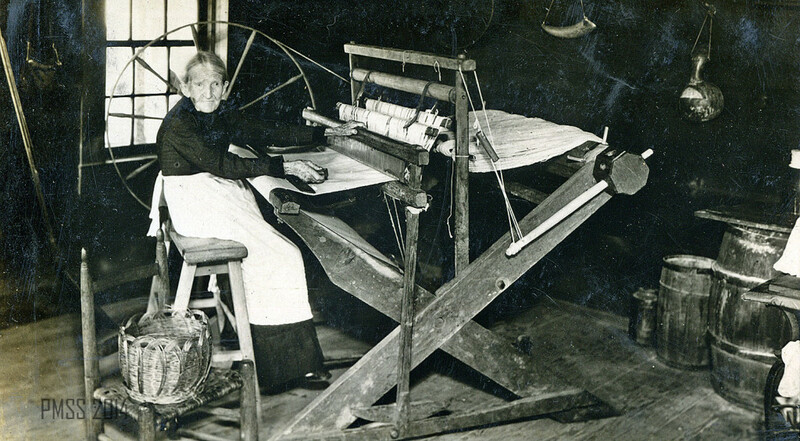 Katherine Pettit, founder of Pine Mountain Settlement School and earlier of Hindman Settlement School, was an avid collector of “kivers.” Her interest in the exquisite craft of coverlet weaving kept her roaming the mountains in the early years of the twentieth century in search of new patterns and techniques. It was the search for beautiful mountain “kivers” that kept Pettit journeying across the Eastern Kentucky region and eventually to the Pine Mountain valley in Harlan County, Kentucky. There, in the long valley on the north side of the Pine Mountain she established one of the most unique of the Appalachian settlement schools. 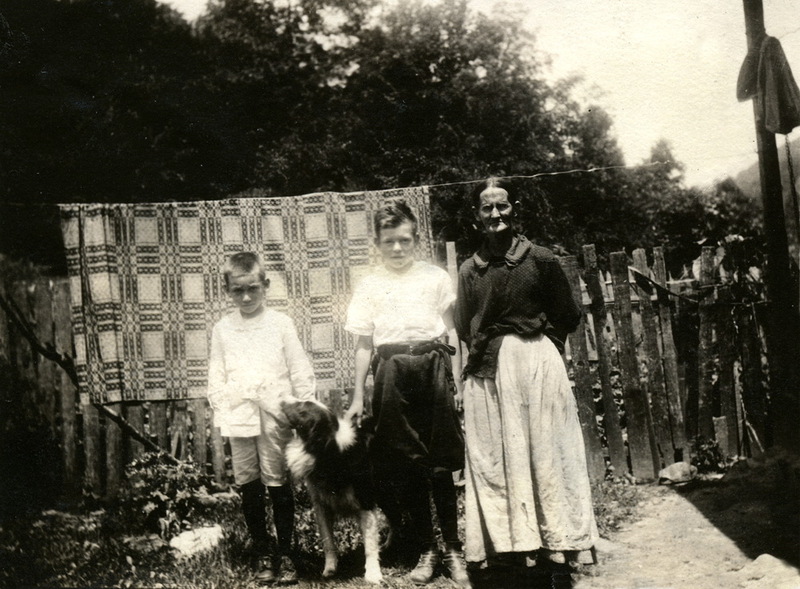 Neighbors in the Pine Mountain Valley with coverlet hanging behind mother, two children and dog. c. 1920s. 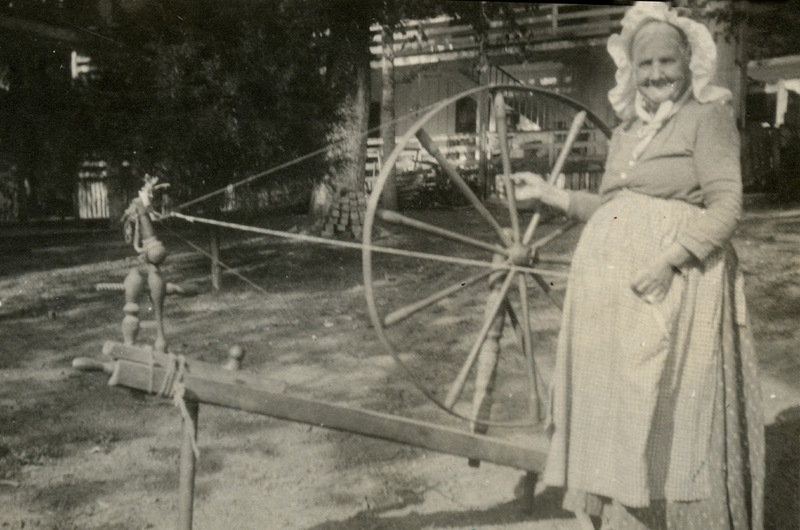 A Pine Mountain neighbor with her spinning wheel. c. 1915. In Harlan county she found the distance from the rapidly industrializing world she desired and she expanded on her Hindman experiences. She rapidly reached out to her many contacts and built a rustic home and a school dedicated to serving the people of the remote Pine Mountain valley and nearby hollows. She did not, however become a recluse. When she came to Pine Mountain in 1913, and with the help of William Creech and the families living in the valley, Pettit established a school founded on the principles of the more urban settlement houses found in Chicago, New York, Boston and other locations. She recruited educators and workers from those early urban settlement schools and women’s colleges and sowed the seeds of a progressive educational program. What she created was a settlement school that adopted a unique response the urban settlement house ethos. While weaving in the urban settlements had often depended on teaching weaving that was modeled on practices found in the Arts and Craft’s Movement and in Scandinavian models, Pettit’s models were already established in the mountains of Kentucky and other areas of the Southern Appalachians. Weaving for Pettit and for the Pine Mountain community was an integral part of a response to the legacy of many families and the demands of a rural environment that was still in a pioneering and subsistence mode. Farming was the other foundational principle she integrated into the school’s core mission. Weaving and farming go together well and well they served Pine Mountain for many years. Pettit’s interest and promotion of weaving pre-dates the important work of Eliza Calver Hall and her 1912, A Book of Hand-Woven Coverlets. 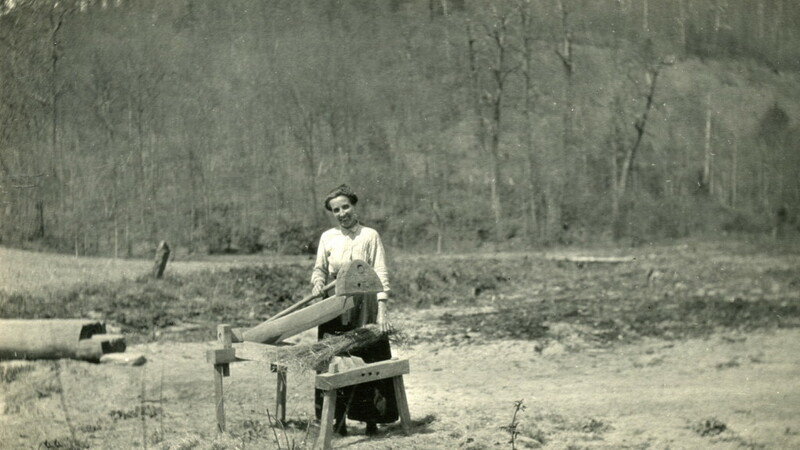 No doubt Pettit was strongly influenced by Hall’s book, which she owned, and the work of the weaver Anna Ernberg who had assumed the position of superintendent of Fireside Industries at Berea College, Kentucky in 1911, but she was embedded in the idea of weaving and settlement-work much earlier and had early connections with women who would later shape mountain weaving into an industry. Pettit made the Pine Mountain valley and the Settlement School her home and along with Ethel de Long, whom she had recruited away from Hindman Settlement School, she began to build the second of her schools in the region. 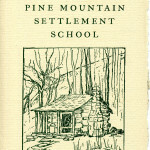 Pine Mountain soon became one of the most unique and viable of the Southern Appalachian rural settlement schools. In that school the sound of the batten, weaving away, has rarely ceased it’s tempo. At Pine Mountain Pettit and her staff did not live in isolation but challenged the people of the region to look beyond the walls of mountains surrounding their valley, to the flood of ideas, economies, and beliefs that would prepare the people of the region for the inevitable changes coming to the mountains. Following the turn of the century, industrialization was moving ever closer to the Pine Mountain Valley and Pettit recognized the need to develop a marketing strategy for the mountain crafts to bring money into the area. Weaving was part of her plan at “raising-up” the mountain people and she set about finding looms, building looms and establishing weaving as part of the school program. 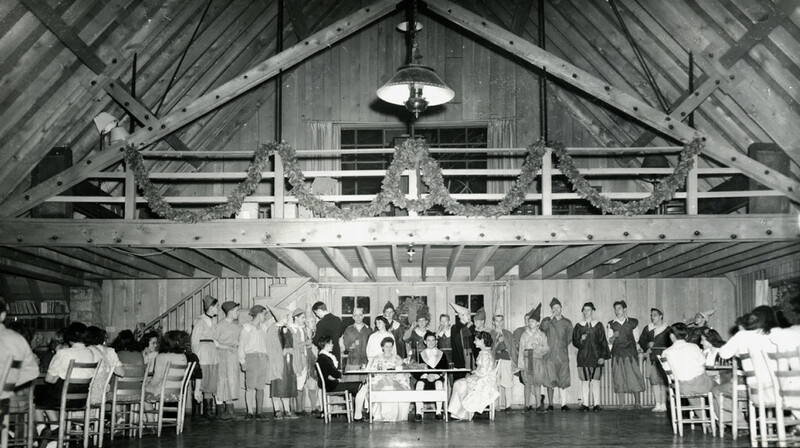 Founded in 1913, Pine Mountain is now celebrating its 100th year of existence. 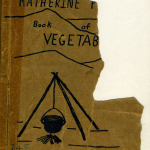 Katherine Pettit retired from the School in 1936 but the school archive contains numerous directives, letters, invectives, and suggestions that show her connected to the School until her death in 1938. The models of education, farming, health-care, and civic responsibility that Pettit and others at the school provided the people of this long valley, to Eastern Kentucky and to the state, promised a rich future while preserving the best of the earlier cultural legacy. Weaving at Pine Mountain has had a continuous association with the school since it’s founding and today it continues to inspire ideas and pride in it weavers. The beautiful homespun coverlets discovered by Pettit on her mountain rambles became a visual passion for Pettit and for others who saw them. It is impossible not to have a deep appreciation for the skill and artistry of the craft of weaving and for the women and men who wove the exquisite and complicated patterns found in Pettit’s collection of coverlets. The mountain coverlet in all its complexity and subtle colors has a deep and extended history in the lives of mountain families with a weft that stretches back to Ireland and to Scotland, to France and to England. The coverlet is a visual testimony to the people’s deep intelligence, creativity, and manual skills, Often described as “asleep”, “apart”, “lazy”, “dull”, or worse, the early mountain weavers produced some of the most elegant and complex and extensive repertoires of coverlets. The Pine Mountain archive has long been the keeper of much of the history that documents the exquisite legacy of weaving in the Kentucky mountains. 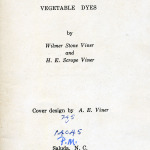 From booklets that detail vegetable dying, such as the Katherine Pettit Dye Book, to implements that can convey the tactile activity of the weaver’s art, to correspondence related to the marketing of mountain craft by novel cooperatives such as Fireside Industries , to the intimate stories of times spent in homes where weaving was done, — the archives at the School are rich in weaving lore. Shortly before Katherine Pettit died she left some of her weaving collections to Pine Mountain Settlement School but donated the bulk of her collection in May of 1936 to the Bradford Club of Lexington, Kentucky. Eventually, this large collection found its way into the holdings of Transylvania College by way of the historic home owned by the college, the Bodley-Bullock House, and under the care of the Junior League. 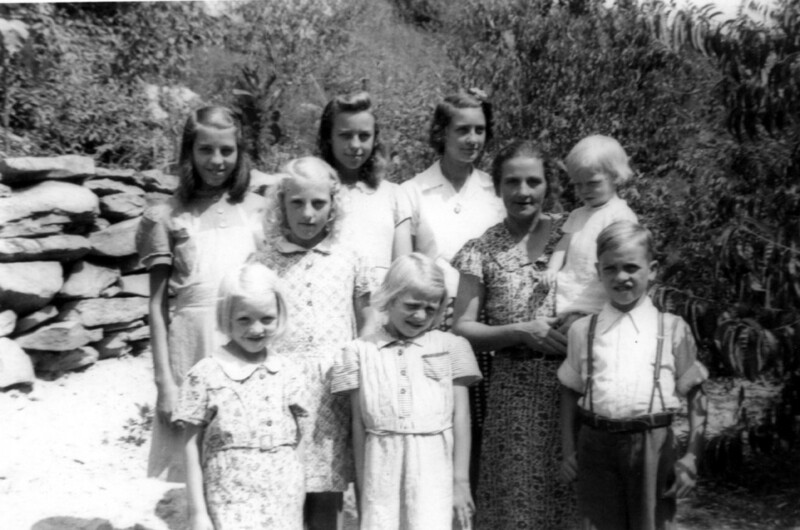 The Bullock’s were Pettit’s family. The home was obviously an active intellectual scene, filled with books and art, enjoyed by the patriarch, Waller O. Bullock, his wife, and children. Bullock, a physician and a sculptor, knew well the education of joining head and hand and heart, and no doubt passed that along to his children, one of whom was Clara, the mother of Katherine Pettit. The home, located adjacent to one of Lexington’s most impressive parks, Gratz Park, is surrounded by the homes of Lexington’s creative and intellectual elite, such as Henry Clay, the early entrepreneur William Gratz, John Wesley Hunt, the first millionaire west of the Alleghenies, and others. Many of Pettit’s coverlets and textile fragments in both the Pine Mountain collection and the Bodley-Bullock collection have, in some cases, histories that go back some 200 years. Some have stories, and others have their provenance waiting to be discovered by researchers. But, all have a visual presence that cannot be denied and names that suggest ties with life in the family, region, and country as well as hints of ancient balladry and dance in the British Isles. Even this fragmented note tells of a very precious warp that is woven with the weft of memories; love, and loss and return and loss, again. So many of the weavings of Appalachia have these stories. They speak to what Eliza Calvert Hall calls the “Time Spirit” in her important 1912 book, The Book of Handwoven Coverlets. The “time spirit” is found in that object that cannot be handled without recalling the life of the past. Many of the names of the coverlets speak to the past times. Stories, such as “Young Lady’s Perplexiuty,” [sic] “Lonley Heart,” “Youth and Beauty,” “Catch Me If You Can,” and “Lasting Beauty.” “… the rise of her bloom” is a mountain colloquial reference to the early adolescence of girls as it was often in early these years that girls began to learn to weave and to assemble their house-hold textiles for later marriage and their own homes. It can quickly be deduced that coverlets were often seen as the dowry of young girls. Certainly, they were the offerings that she carried into her marriage in her “Hope Chest”. Enoch Combs [the same as mentioned earlier] and his wife Mary were a childless couple who lived at Sassafras, near Hindman. 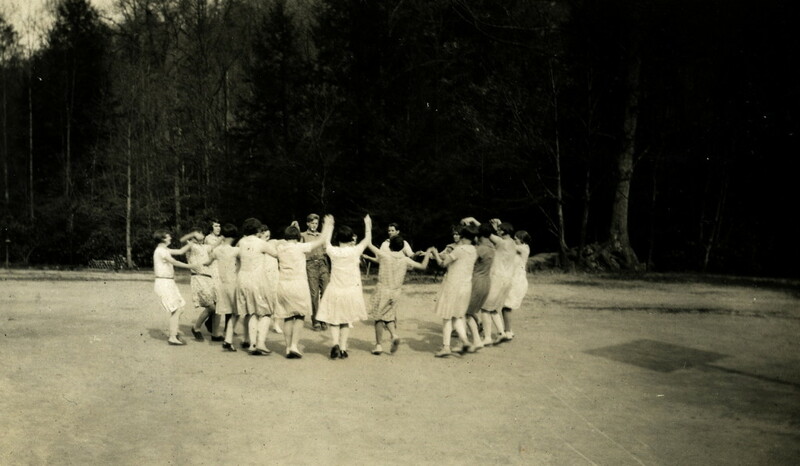 They were the hosts for a group of young women who came to the third and final summer camp in Knott county prior to the establishment of Hindman Settlement by Pettit and Stone. 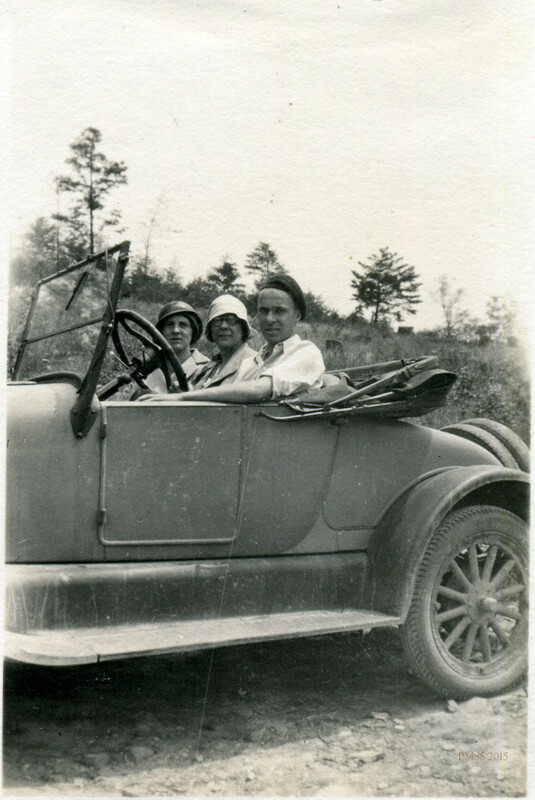 Katherine Pettit, of Lexington; Mary E. McCartney, of Louisville; May Stone, of Louisville; and Rae M. McNab, also of Louisville, traveled into what had become familiar, but still, very rugged mountains of eastern Kentucky. Their summer school at Sassafrass in 1901 was the last of a series of summer camps that were established to serve the literacy-poor hollows in Knott County. 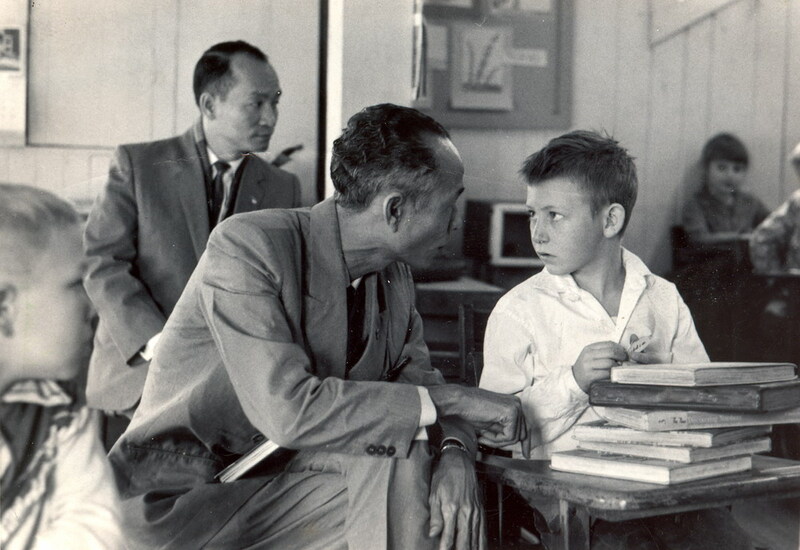 The success of these summer camps and the enthusiasm of Pettit and Stone led them to the foundation of a permanent school at Hindman in the following year. The life of the Combs family and their skills at weaving were captured in a small album of photographs belonging to Katherine Pettit which she titled “Sassafrass 1901.” In the small and fragile album, held in the Pine Mountain archive, members of the family and a young lady who was living with the Combs’ are shown shearing their sheep, washing the wool, drying the wool, picking and carding, dying the “hanks”, and finally spinning the wool to be placed on spindles. The images freeze this valuable pioneer process in time and allow the viewer to understand the many complex tasks associated with the manufacture of textile in the Appalachians. The processing of wool is just one of the complex tasks involved with Appalachian textiles. There is another even more arduous series of processes associated with the flax plant. When Katherine Pettit came to Pine Mountain she met “Aunt” Sally Creech. In Aunt Sal she had one of the finest weavers and spinners as an accomplice in her search for “kivers.” But, she also had a consummate teacher. Aunt Sal was the wife of William Creech, the farmer whose vision of a school caught the imagination of Pettit and whose land formed the basis of the physical site for the Pine Mountain Settlement School. Uncle William grew flax and harvested it to process linen thread. Katherine Pettit provided him with the seeds. 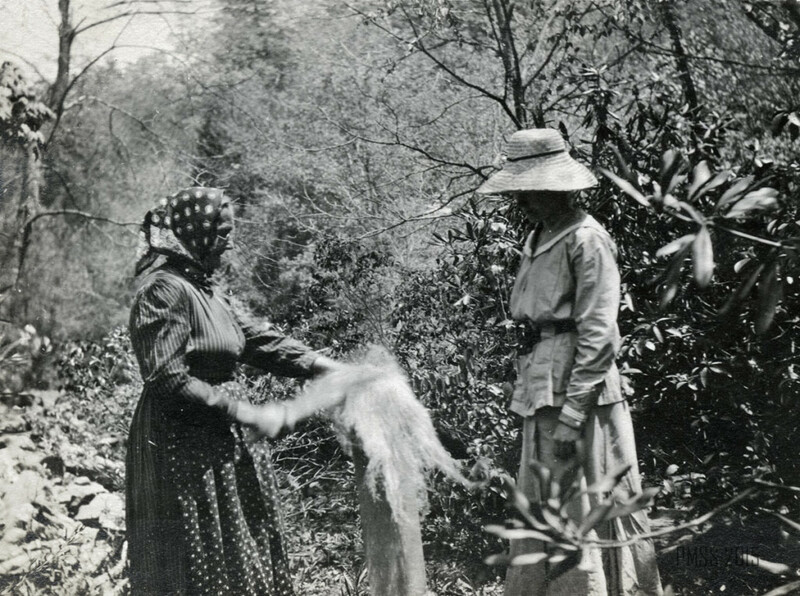 The elaborate process of turning flax into thread was a process learned by many of the Appalachian families whose origins reached back to an Ulster-Scot ancestry. Many of the people of the Southern Appalachians had this ancestry. Ulster, in Ireland, was a center of linen production in Europe and many of the immigrants brought their knowledge of flax farming and linen creation to the New World. It continued as a viable occupation for the many Scots-Irish-English-French-Cherokee-German and African American families who lived deep in the Appalachian mountains. 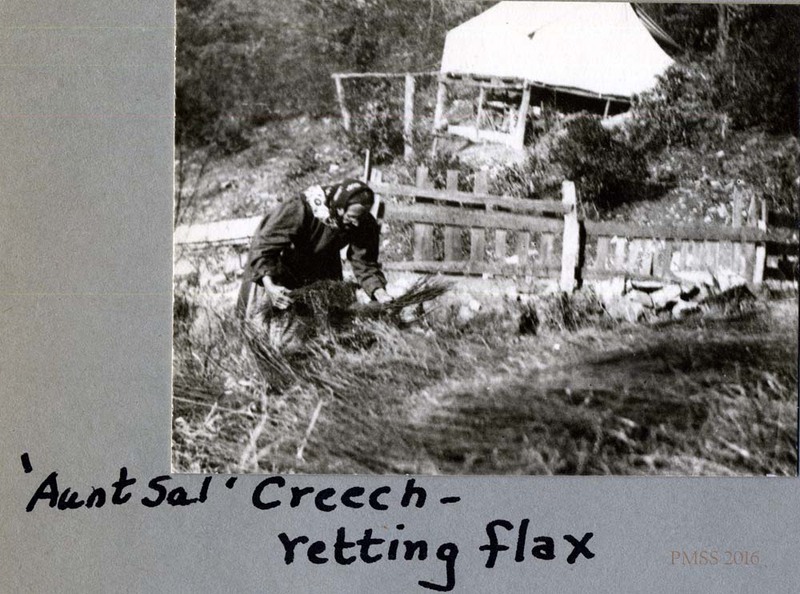 At Pine Mountain, farmers who maintained subsistance farms in the small valley and hollows and on the steep slopes near the School sometimes found ways to extend their incomes by engaging in flax farming. Flax was one of the crops that could be turned to income. But, by the turn of the twentieth-century few of these resourceful farmers remained. Pine Mountain was fortunate that some of these flax farmers had passed down their knowledge in the family and there were families that were still growing and weaving with flax. When Pettit arrived in the valley she met families with names like Creech, Boggs, Turner, Couch, Combs, Coots, Day, Hall, and more, suggesting that the population was heavily indebted to England in its origins. A study of family names could shed light on possible English or Irish or Scotch origins of textile practice, but unlike tracing ballads or dances, or pageants, the trail for textile arts is not well developed. English families migrated to all areas of the British Isles but it is well-known that many Scots migrated to Ulster where they took up the practice of flax farming and production. 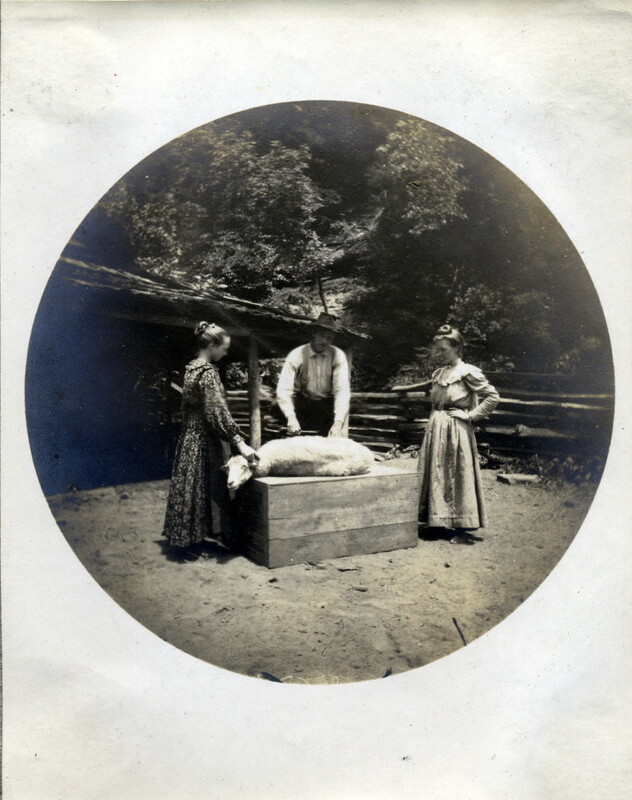 However the practice arrived in the Appalachians, the production of linen thread, an enormously labor intensive and complex process was passed along to Uncle William and Aunt Sal. They knew the processes but the depth of their knowledge is difficult to determine. Just how their processes compared to European practice invites further study. Certainly Uncle William saw an opportunity to pursue his farming interests and to combine this with the practice of weaving, an art his wife Sally knew well. Labor in the nearby school was available to him but he also had a sincere desire to improve the production of farmland, to educate, generally, and he, like Aunt Sal, was a consummate teacher. It is also clear that he shared these interests in flax farming with Katherine Pettit. The raising of flax and its processing for the weaving of linen cloth is another long weaving story. It is evident, however, that farming and weaving and education all make good partners. Whether, wool, flax, or cotton, “Summer Weave”, “Snail’s Trail,” or “Virgil”, or “Longfellow”, the threads come together. It is true that the partnership of farming and weaving can be found repeated throughout the world, but the patterns derived from those partnerships are as diverse as the cultures that created them. Pine Mountain’s contributions to a weaving history are many and the contributions of Appalachia have their roots firmly planted in the long histories the earliest families brought to the region whether European, African, American Indian, or South American, or other cultures. There is strong evidence of cultural mixing in both practice and patterns and the research field waits for those who want a rich research project. This entry was posted in ART & CRAFT, GUEST POSTS and tagged Arts and Crafts Movement, coverlets, education, Eliza Calvert Hall, Enoch Combs, Fireside Industries, flax, Granny Stallard, Hindman Settlement School, Homespun, Katherine Pettit, Kentucky Winding Blades, looms, May Stone, Pine Mountain Settlement School, Sassafrass Kentucky, spinning, vegetable dyes, weavers, weaving, weaving patterns, wool on 2013-09-05 by pmss_editor.